Welcome to A Sewing Journal, where I feature beautiful and inspirational sewing projects, handmade products and delightful fabric from around the web. Stopping by to show you a quilt I made recently. 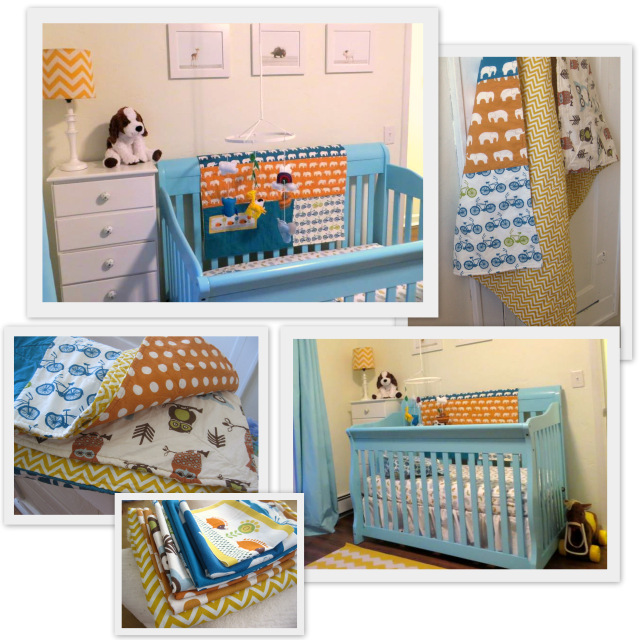 It's just a very simple crib quilt made for a sweet baby boy. I've had a few minutes to breathe and I'm going to try to come back to this space to somewhat frequently (or infrequently) to share what I'm working on or cool stuff I see on the web. I'm actually sewing again(! ), but haven't found a whole lot of time. I can't wait to show you what I'm working on, but in the mean time, here are some photos I took of floss sorting. I'm doing a little cross-stitch for fun (from the awesome Frosted Pumpkin Stitchery) and hopefully I'll make enough progress someday to show you more than just floss sorting :) We made the little "floss spools" from cardboard cracker boxes. 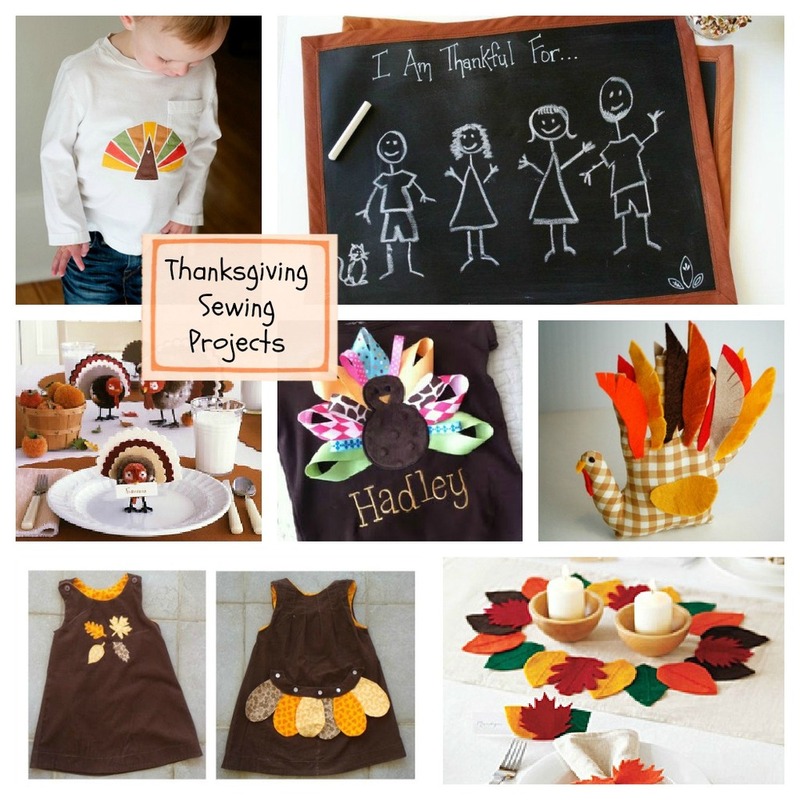 Seven projects to get your Thanksgiving sewing started! This collection consists of 10 perfectly coordinated prints, including chevrons, poppies, and a lovely elk print! Graphic, sweet and unbelievably soft, this collection is perfect for babies and grown ups alike! The interlock knit is 44" wide and has less than 5% shrinkage. It's a lovely weight of approximately 5.7 oz per square yard. Find out more on the Birch Fabrics blog and Birch Fabrics website.